For the past few days, local 96.3 WHUR Washington, DC’s HD Radio signal, which airs on 96.1 and 96.5, has been off-air. 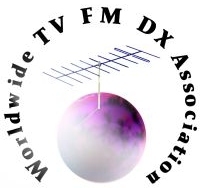 Usually, 96.1 and 96.5 are extremely difficult to DX since WHUR’s digital sidebands are strong at my Northern Virginia home. However, with WHUR-HD turned off, both of its adjacent frequencies were open to distant reception like they were prior to 2006 when HD Radio debuted on WHUR. At 8:50 PM February 8, WHUR’s IBOC sidebands resumed its broadcast. The above chart shows a waveform of 96.5 FM from 8:49-8:50 PM February 8. 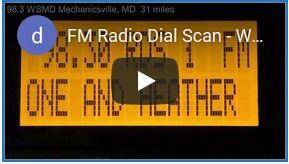 In the beginning, you can see a fairly strong analog signal from 96.5 WKLR Ft. Lee, VA, 92 miles away. At the 0:05:00 mark, WKLR’s signal decreases as WHUR’s HD revs back up. at 0:09:50, WHUR’s 96.5 digital sideband is at full-power, and WKLR abruptly disappears without a trace. Listen to the corresponding audio file to the graphic above.